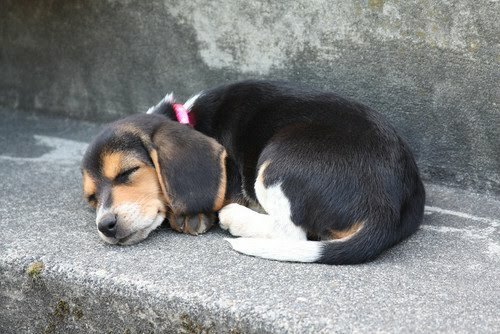 Sleeping puppy on the street. This is just too sweet. You and your cute animal pictures. I like it!